In a Nutshell: As employer pension plans become rarer, members of the workforce must learn to be shrewd curators of their retirement investment plans. Fidelity Investments recently identified an upward trend in retirement account balances, with the average 401(k) balance nearing an all-time high. The study also explored how auto-enrolling employees increases participation and savings over time. The data, which comes from Fidelity’s Q2 analysis of more than 30 million retirement accounts, points to several important considerations working people should heed when deciding how to approach their retirement savings plan. Combine one loving partner, 2.5 kids, one suburban home with picket fence, and a defined benefit pension plan. Wait 25 years. Retire. It wasn’t too long ago that this scenario was an attainable goal for many Americans with a career in an established and profitable company, or in government service. But since the 1980s, defined benefit pension plans have been steadily declining. The exact reasons are still up for debate, according to a 2017 Washington Post article, but the numbers don’t lie. 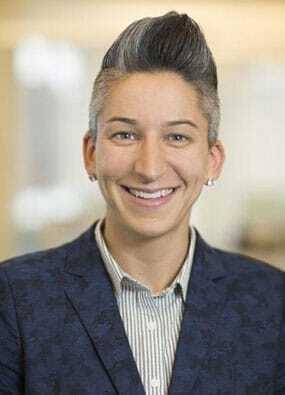 Eliza Badeau is the Director of Workplace Thought Leadership at Fidelity Investments. 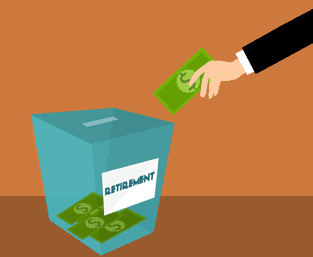 In the meantime, Americans have been slowly warming up to the idea of defined contribution investment plans, like the 401(k) or IRA, to prepare for their retirement years. “We’ve obviously seen a huge shift in the defined contribution plan being the way to save for retirement,” said Eliza Badeau, Fidelity’s Director of Workplace Thought Leadership, whose expertise lies in financial wellness and defined contributions and retirement. 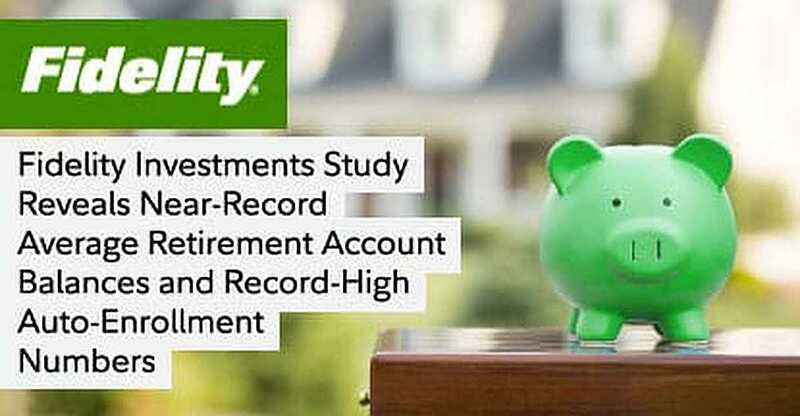 Fidelity Investments recently issued a press release that identified an upward trend in retirement account balances, including a near-record high for the average 401k balance. Fidelity also illustrated how the growing trend by employers of adopting auto-enrollment policies for their employees is helping support those increasing numbers. The Q2 analysis is based on data from more than 30 million retirement accounts. Badeau discussed with us the findings of the press release and offered some expert advice on how people in the workplace can get the most from their retirement savings plans. “We did a Q1 analysis of 401(k) accounts and wanted to look at what changed over in Q2, and what we saw was that the account balances were rebounding,” Badeau said. She said Fidelity routinely does a large amount of research to help inform its products and services. According to the release, the average 401k balance increased to $104,000, which is just short of the all-time high average of $104,300 from Q4 of 2017. The balance is a one percent increase from Q1 and a 6% increase from 12 months earlier. Badeau said the savings increase is due to about a 60-40 split between strong market actions and participant actions. Seeing participants around the 13 percent contribution rate is awesome, she said, and it is helping to increase retirement readiness and is contributing to the balance growth that Fidelity observed. As of June 30, companies contribute an average of 4.5% as a company match, with employees contributing 8.6% on average for a total contribution rate of 13.1%, according to data provided by Fidelity. Badeau said a big part of Fidelity seeing such strong retirement savings numbers is auto enrollment. She said almost 1 in 5 employers are now automatically enrolling employees into a retirement savings plan when they are hired, sometimes at a 6% employee contribution rate or higher. “Auto enrollment continues to drive the positive savings behaviors, including balanced growth, and we are seeing that more and more employers are adopting this in their plan design,” she said. Fidelity also noted a small decrease in 401k loans, along with better asset allocation all around. Fidelity’s analysis of auto-enrollment trends cover the past decade. The results showed an increase from a 15% auto-enrollment rate in 2008 to a rate of 33% by the end of Q2 of 2018. In large companies with 401k plans, auto enrollment was up to 61%. Employers are really focusing a lot of their energy on getting their employees to take advantage of the retirement benefits they offer, Badeau said, so auto enrollment is a huge part of doing that. 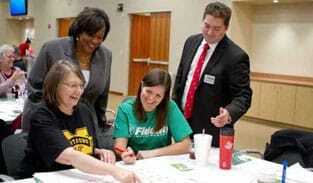 “It’s crushing the inertia that exists in getting people onto the plan and getting them to save early, and getting them to invest early in their lives,” she said. Of the employees enrolled in a retirement savings plan, 91% do not opt out of the program. And auto enrolling at a higher rate, like 6%, makes a big difference in people’s future, Badeau said. She said more employers are also using an auto-increase option that automatically raises the employee’s contribution over time. “It’s such a powerful marriage between auto-enrollment and auto-increase programs that can really get them up there to that goal of saving 15% when they might not have done that on their own to being with,” Badeau said. Finally, the release announced that the number of “401(k) and IRA millionaires continues to increase.” Fidelity’s analysis showed that the number of participants with at least $1 million or more their 401(k) rose from 49,000 to 168,000 in the past year. More than 1 in 5 of those participants, or 21%, of those are women. IRA account holders with at least $1 million rose to 156,000 with women comprising 26% of that group. Badeau said said her office often puts forth these considerations to help investors decide on how to approach their retirement savings. “Skill, will, and time,” she said. It comes down to whether the employee has the skill, the will, and the time to manage their own investments. Badeau said it’s nice that she often hears that employers Fidelity works with are focused on helping their workforce save today so they can be better prepared for tomorrow. Additionally, she said it’s important for employees to take advantage of any financial wellness programs their employers offer that could help them either get on track with a budget, or help them maintain a budget. Such programs can also help them avoid or manage debt , as well as help them continue to save for retirement so they can achieve their retirement goals. Badeau said it’s important for employees to take advantage of financial wellness programs offered by their employers. Next, she said the investment considerations she mentioned earlier are very important — understanding whether you have the time to do it yourself or if you want a little more help. Badeau added that, with the millennial crowd, there is a lot of job shifting and figuring out where one wants to be, and it’s really important for that age group to remember that when they change jobs, it’s important not to cash out their retirement savings because it will diminish the power of long-term savings. Just because the defined benefit pension version of the American Dream recipe is going the way of your grandma’s curious gelatin mold, it doesn’t mean the American Dream is dead. Fidelity’s data shows that more employers and employees are realizing and taking advantage of the potential of retirement savings plans available to them. With the right contribution plan and employer match, members of the workforce can rest easy knowing they’ll be financially secure in their retirement years.